DMBI facilitates clients in making more accurate business decisions on which products to sell, and who to sell them to, through customisable BI applications using proven analytical techniques from multi-national companies. DMBI has been part of the Diver BI Group since its inception and works mainly with clients from the UK. 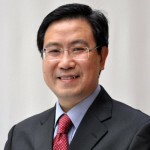 YY Tsang is Managing Director of Data Management Business Insight. YY began his IT profession in 1986 managing IBM mainframes before moving to Asia to work in business automation, client management and solution consulting to multi-national and government clients. Industry sectors managed include mobile operators, banking and finance, manufacturing, utilities and library. YY brings together a strong business operations background with technical skills in Diver to offer customers meaningful business insight to boost business performance. Since joining the Diver BI Group YY has developed specialist skills in designing and delivering BI applications for mobile technologies including iPad and other tablet computers.